Udemy.com is mostly recognized as the podium of online learning. It actually provides a stage where an expert can create any kind of courses and afterwards which can be offered to public. It is mostly free of cost, but sometimes it charges some tuition fees. One can use this marketplace to create different courses, endorse it and be paid money from student’s training charges. 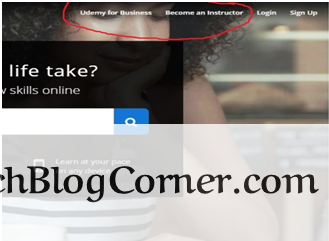 Udemy.com should not be confused with any kind of college credits, it is simply used as courses required for job improvement skills. Yes, a few courses here stand for technical certificates but not all. Though Udemy is making sincere efforts to attract corporate trainees for improving this website. This online learning process was started in the year of 2007, with the help of Eren Bali, who built up software providing a virtual classroom in Turkey. 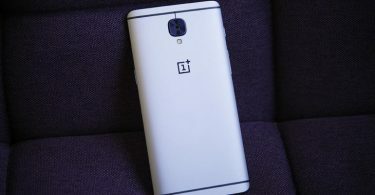 Dreaming of launching the product for everyone at free of cost, he moved to Silicon Valley and founded the company jointly with Mr. Caglar and Mr. Biyani in 2010. But this is not at all a success story all through. Lately in 2010, they tried to raise capital funding, but the idea failed miserably and got rejected from different investors 30 times or more. Ultimately they launched Udemy – “The Academy of You” in 2010. Since then Udemy.com is running successfully as a leading online learning platform with 13 million students and more than 40,000 courses. Roughly saying udemy has two plans. So either you can create a course and earn money from student tuition fee or you can seek any courses suitable for your job/ career and learn it by paying a particular amount. 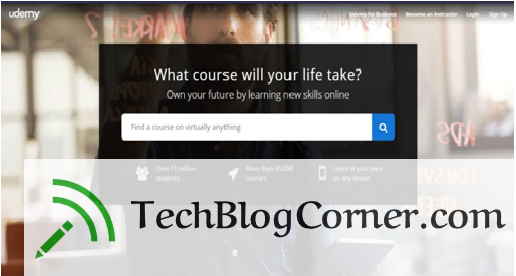 It allows instructors to build any courses of their choices. Using Udemy tools, they can upload videos, PDF records, PowerPoint arrangements etc. Generally Udemy provides online learning and teaching process and also virtual classrooms. It has been done through their website. Recently, Udemy has launched an Apple iOS app, allowing students to take classes through their Iphones. As per 2015, 20% Udemy students access Udemy app. 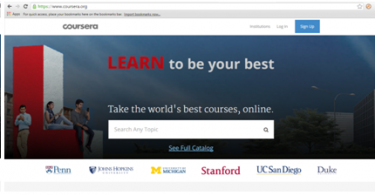 Udemy.com provides with two options, where courses can be free of cost or paid. There are several free courses available. But if you are leaning towards a better and quality courses, you have to take a look on its pricing system. Obviously, everything comes with a price! The pricing system is more important for instructors because they are the one who will earn money and will give benefits to Udemy. You can set course price between $20 and $50. If the currency is not in dollar, go for global price matrix option. You can change your course price whenever you want to, but you can switch between free and paid only once. The price you are offering on Udemy, cannot be offered for free on any other site. For Students- Every learner or student on this website can choose their course with suitable price range. Free courses are available too. And the most happening thing is Udemy provides a vast range of discounts. It offers discounts on courses up to 50%. Benefits- There are lots of benefits that comes from this widely used platform. Expert courses– Udemy provides with quality courses almost on everything. As the instructors behind every course are verified, there is no scope of any kind of frauds. You can find any course on every subject out there. Yes, free courses are available too. So if you just want to check once this virtual classroom thing, free courses are there to help you. Classes from home- As Udemy.com is an online platform, you can enjoy virtual classroom straight away from home, or from anywhere you like. With the launching of Udemy apps, it has become easier to access. Discounts! Besides free courses, Udemy provides discounts up to 50% off. Surely it is an exciting features for students. FAQs- Got any questions regarding the working process of Udemy? Not to worry! There is a whole branch of FAQS which can satisfy you with all your queries. Earn money easily- Upload your teaching course, set price and earn! It is that simple with Udemy. If you have any book, blog or any kind of knowledge, publish it through Udemy, and you will get perfect marketing. Further, it is completely safe, no misuse of intellectual property. Firstly, 100% sharing of revenues on students which are brought by the instructor. Secondly, 50% sharing of revenue on the reverse case. Thirdly, 25% of revenue share on students that are driven by Udemy ads. Share your expertise- People are interested in learning everything, from learning how to cook to Web designing. Udemy brings these vast features of learning process under the same roof. And at the same time one can share their expertise over a particular field and can earn money thorugh it. Quality certificates- Though it is not as good enough as to some college or university, Udemy certificates can be used as a skill base for any side career option or on jobs. At least it can surely give you head up in a typical competitive place.